Bright Akhuetie with UP coach Bo Perasol and Perpetual owner Antonio Tamayo. 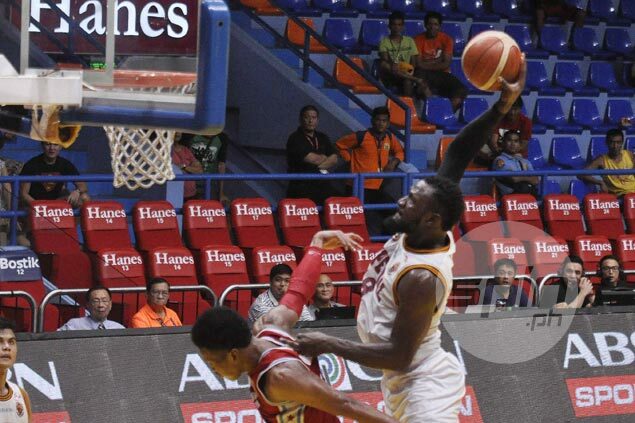 BRIGHT Akhuetie is set to join University of the Philippines in the UAAP after securing his release from University of Perpetual Help, Maroons head coach Bo Perasol confirmed to SPIN.ph on Tuesday. 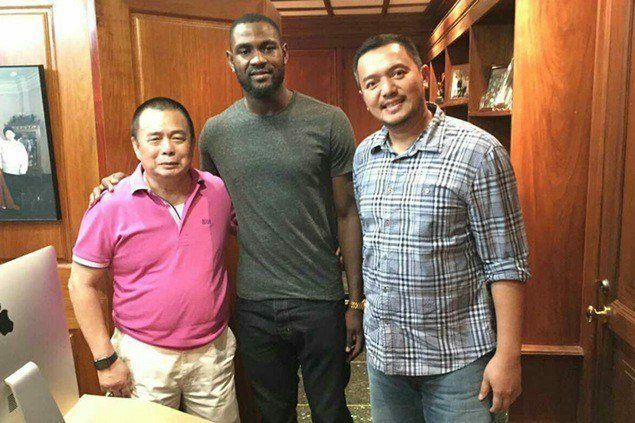 Perasol confirmed Akhuetie's impending move to the Maroons camp when pressed for comment after SPIN.ph secured a photo of him with the Nigerian student athlete and Perpetual owner Antonio Tamayo. The UP coach, however, declined to reveal any more details other than say that Akhuetie secured a release from NCAA team Perpetual through the intercession of Cavite governor Jonvic Remulla. Remulla is a UP alumnus. The 6-7 Akhuetie is considered one of the best foreign student-athletes in the country and is expected to be a big boost to the bid to rejuvenate the Maroons' basketball program. UP last won a league championship in 1986 under legendary coach Joe Lipa and has gone through several losing seasons before enjoying a resurgence last year in Perasol's first year in charge. Before deciding to join the Maroons, Akhuetie has also talked to La Salle and Ateneo on a possible move. Akhuetie played two seasons with the Altas in the NCAA but will have to undergo a year in residency under UAAP rules before becoming eligible to play for the Maroons in 2018. However, not a few believe Akhuetie can turn the Maroons into a legitimate title contender with more or less the same impact that Ben Mbala had with La Salle. La Salle won the last UAAP championship with Mbala winning MVP honors. Aside from the efforts of UP Maroons coach Bo Perasol and team manager Dan Palami, also playing a big role in the recruitment of Akhuetie was the Nowhere to Go but UP Foundation headed by its chairman, Renan Dalisay, Chooks to Go president Ronald Mascariñas, and UP alumna Robina Pe. Remulla is also a member of the alumni group.